I like to see everyday objects under different, almost unrecognizable perspectives. Like these jet engines with their shells open. 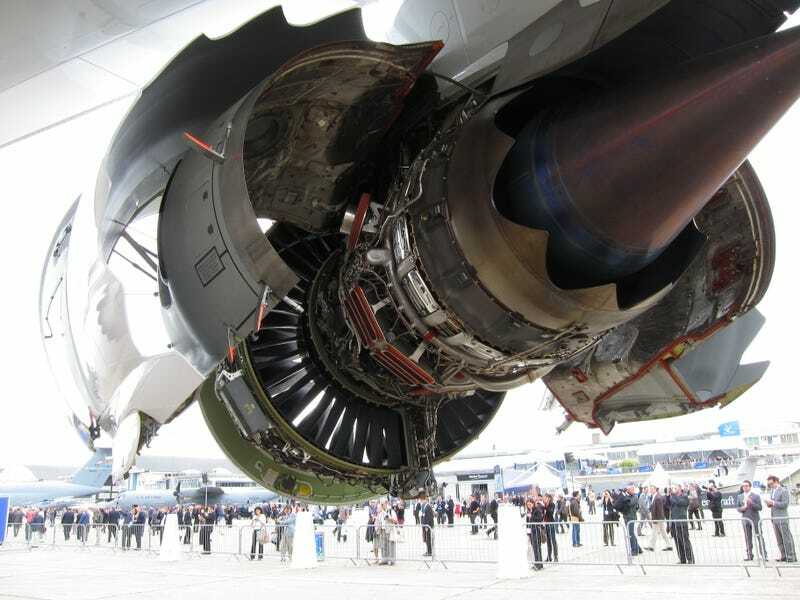 Above: a General Electric GEnx turbofan engine. Above: A General Electric CF34. The red light is heating lamp used to cook off the resin used in a lining repair.